A little over twelve years ago I rescued a miniature donkey named Cindy. She was a heart-broken, lice-ridden mess. And she was an absolute love. This three-hundred-pound diva has 1.21 gigawatts of personality and is the most fiercely loyal being I’ve ever met. It was the best thing I ever did. My blind mare, for whom Cindy serves as seeing-eye companion, whole-heartedly agrees with me. Yup. So work with me here. The first thing she taught me is about character development. The donkey possesses a complexity of emotions and intelligence that, when compared to horses, is fascinating and not commonly understood nor appreciated. Watching the unfurling of this damaged donkey’s heart and wit taught me a great deal about writing characters – human and non – their motivation, emotional connections and the nature of agency. Besides, what author doesn’t seek new ways to build complex character relationships, create conflict and devise original ways to add tension to a story? Donkeys deliver on all fronts. Finally, consider this: in fantasy worlds, horses reign supreme as mode of transportation, quest companions, and even primary characters (as in Mercedes Lackey’s THE LAST HERALD-MAGE series). And yet, for every five horses in the world, there are four donkeys. Unlike the horse, virtually all donkeys on earth today are used for some type of work. So why, then, are there so very few donkeys in fantasy fiction? Here are ten reasons that donkeys really have the advantage over horses in a fantasy or science-fantasy world setting. 1) Donkeys are loyal, far more than horses. Cindy will let me do things to her that she will not suffer any other human to do. “How many grown women does it take to haul a three-hundred-pound donkey into a wash stall?” you ask. Answer one: three women plus a teenage boy, and they all got bathed more thoroughly than the donkey did. Answer two: just one (me). No training, no twitches or other compelling implements of doom to force her. Just loyalty and trust. But you DO have to earn it. When they let you touch those ginormous, velvety soft ears, you know you’ve attained the next coveted level in donkey trust. 2) A donkey is a practical choice as a mount. Donkeys come in all sizes and are commonly the size of large ponies. This means they are not just for the Abbott to ride upon sedately through a town procession. They are stronger than a horse of equal size and possessed of great stamina. Donkeys don’t really canter with a rider. If you need a battle tank, the donkey’s not for you. But for a steady trek across your fantasy realm, they are ideal. They will get you there faster and with less food, water, or rest breaks than any horse. 3)They are painfully smart and can even tell time. Cindy didn’t speak to me for days because I was late arriving for her Halloween costume fitting. (She was going as a unicorn… but that’s another story, another blog). Because donkeys have a mind of their own, they can drive your plot without having magical or genetic enhancements to make it legit. 4) These lovable beasties live longer and are easier to care for than a horse. For example, they are almost never shod. Pretty much any brush or scrub will suffice as sustenance since donkeys are superior to horses in digesting and extracting nutrition from forage. They do very well in dry hot climates. On the other hand, they are not good in wet or snowy conditions for long. Donkey coats are not water-proof like a horse’s, and a wet donkey is rather comical and pathetic all at the same time. You can have a lot of fun with a sudden storm drenching your protagonist and her mount. They are slow to trust, but they are devoted once you are “in.” Horses, while they do love people, will NOT come back to fight at your side once a rider’s down in a melee unless specifically trained to do so – and even then it’s a crap shoot that the training will hold. A donkey will always follow her heart, which means following her human companion to hell and back, if that’s where you want to go. 6) They are fiercely protective. Yes, little Cindy really did kill a groundhog that failed to give the proper password to enter the pasture and then had the temerity to come too close to her mare. There were human witnesses. 7) Donkeys don’t “spook” the way horses do. They will stop, assess the situation, and then take considered action. They won’t dump their rider, but they may whisk them to safety which creates all kinds of fun plot challenges. Because there really is no stopping a donkey if it doesn’t want to stop, your character may end up a far distance from her adventuring party. Nice raising of the stakes. 8) Minis in particular love almost all other animals – and especially small children. Our barn cat comes for donkey kisses every morning like clockwork. 9) They are incredibly playful. It’s hysterical to watch Cindy play halter tag around the field with my giant dressage horse. 10) Donkeys vocalize, horses don’t. A donkey bray can be heard quite literally for miles. They squeak, too. Just watch SHREK, you’ll understand. Imagine the tension in your raiding party when it’s trying to sneak past enemy outposts and everyone is worried that the donkey may have something to say about it. Bonus reason: Think of all the asinine puns you can toss into your story. So, when you’re inclined to write a horse, go for the plot-driving donkey. She is a rich character in her own right. Barbara E. Hill is a science fiction/fantasy author and publisher, a marketing consultant, and fairy godmother to all creatures great and small. She’s been addicted to horses her whole life – well, pretty much any critter, truth be told – and manages to squeeze in “real life” around their fluffy furry edges. Her FB page is filled with SF&F topics, pictures of pugs, horses, and updates on her adventure-filled life with her chef/pilot/cyclist/scuba diving husband. 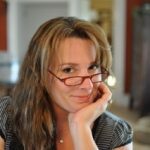 The founder of NobleFusion and the publisher of NobleFusion Press, she writes from an historic horse farm in Bucks County, PA. In her spare time she tries not to take herself too seriously. Learn more at www.barbaraehill.com or follow her on twitter @TheBubbiBooks. Very useful piece, and a fun idea. Thanks, Barbara. I maaaaay have just edited a horse out of a story in favour of a donkey. I guess I’ll have to work in a donkey in some future books. Thanks.